Once the LTI link has been created and linked to the course, it must be launched. Either an Administrator or an Assessor can complete this task. 1. Select the Department that contains the table of contents to populate the Table of Contents drop-down menu. Once you have saved the table of contents and page, a new button will appear. 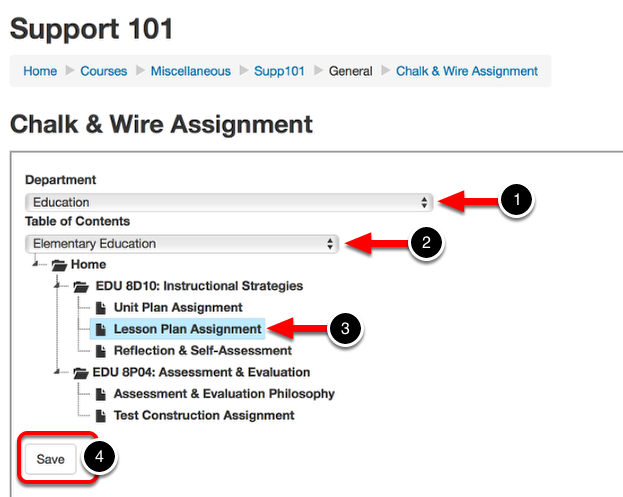 Chalk & Wire will open directly within your Moodle screen, as it will for students, allowing them to submit for assessment.